Dorian Mintzer, owner of RevolutionizeRetirement.com, a retirement coaching firm, is hosting a free online expert series called Revolutionize Your Retirement. Founded in 2012, the monthly Revolutionize Your Retirement series features leading experts speaking on cutting-edge issues faced by those 50+, like job hunting after 50, discovering spiritual opportunities, serving as caregiver for aging parents, and how to make a difference in the second half of life. Mintzer notes, "My goal is to bring experts to talk with boomers about 'what's next' in the third stage of life." Past experts have included Kendall Dudley, life design consultant and intentional travel leader; Viki Kind, clinical bioethicist and medical educator; Marci Alboher, author and Vice President of Encore.org; Andrea Gallagher from the Life Planning Network; and Jan Cullinane, author, speaker and retirement specialist. The series occurs on the fourth Tuesday of each month at noon Eastern (11 AM Central, 9 AM Pacific). The program can be accessed either by telephone or computer, or both. Each program lasts 60 minutes, and the last portion of the program is devoted to a Q&A session where participants can ask questions of the featured expert via the Internet. All programs are recorded, so those who are unable to make the live program can sign- up and have access to a recording of the program. The Revolutionize Your Retirement series is offered free of charge. However, participants must register to access the program information. The next program is scheduled for February 25, 2014, featuring Sallie Felton, Life Coach, International Radio Show Host, author of If I'm so Smart, Why Can't I Get Rid of This Clutter? To register, visit http://www.RevolutionizeYourRetirement.com. Dorian Mintzer, M.S.W., Ph.D., B.C.C. (Board Certified Coach) has written about many topics pertaining to graceful aging. She speaks to professional and community groups. As a coach, she helps 50-to-70 something women, men, and couples reinvent themselves in the next stage of life. She's the founder of the Boomers and Beyond Special Interest Group for interdisciplinary professionals, and the 4th Tuesday Revolutionize your Retirement Interview Series for professionals and the public. She is co-author of The Couples Retirement Puzzle: 10 Must-Have Conversations for Transitioning to the Second Half of Life and has also contributed to Live Smart after 50!, 65 Things to do When you Retire, The Six Secrets to a Happy Retirement and 65 Things to do When you Retire: Travel. 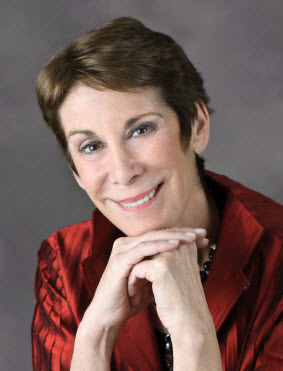 For more information on Dorian Mintzer, visit her at Revolutionizeretirement.com.